Tiryaka tadasana is a variation of tadasana. Tiryaka tadasana is a very good stretching pose which very easy to perform as compared to other stretching postures. Tiryaka tadasana or swaying palm tree pose is also used in the practice of shankhaprakshalana. 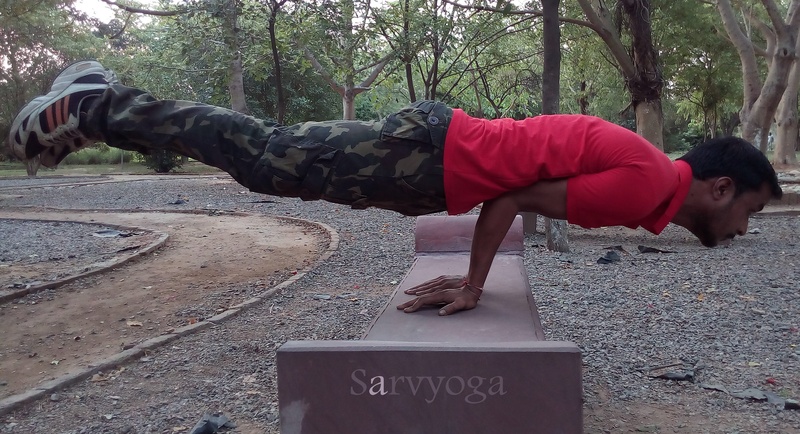 Shankhaprakshalana is one of the six cleansing techniques known as ‘shatkarma’. It is the practice through which stomach and intestine are cleaned naturally using the water. It comprises of five asanas to be practised, one of the five asanas is Tiryaka tadasana. Legs together, hands by the side of your thighs. Open up the chest, keep your spine erect. Interlock your fingers of both hands facing the palms downwards. Inhale slowly and raise your hand upwards over to your head. Stretch your hands straight touching your biceps to your ears. 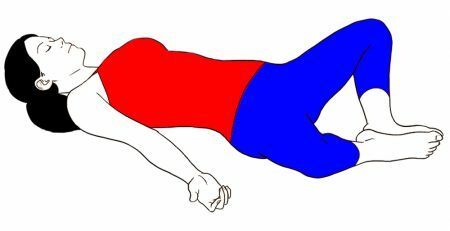 Now while exhaling slowly bend sideways to your left side keeping the hands straight and biceps will be touching the ears. Try to band as much as possible. Stay at the last point you reached and feel the stretch on the opposite side (right side). Feel the stretch on the right side from the waist to the shoulders and hands. Now inhale slowly and come up to the center. Again exhale and bend sideways to your left side. Keep your biceps touched to your ears. Bend sideways as much as possible. 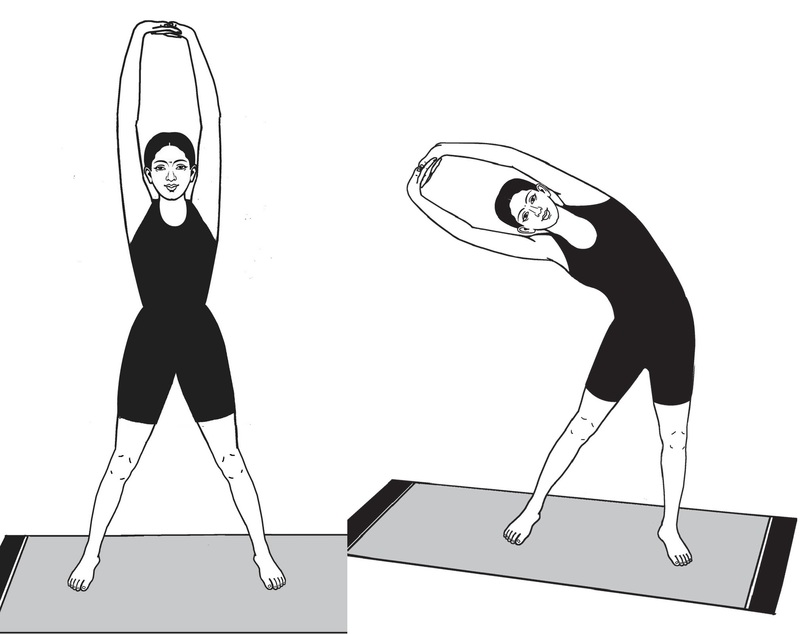 Stay at the last point and feel the stretch on the opposite side, i.e. on the left side. Then inhale again and come back to the center. Now bring your interlocked hands downwards while exhaling. Release the finger from each other and keep them side by the thighs. Apart the legs and relax for a while. This is the practice of Tiryak tadasana. It can be practised 10-15 times or even more than that depending upon the capacity of an individual. Repeat the first two steps. Then inhale and raise up your hand sideways. When hands reach at the shoulder level turn your palms upwards and start raising your hands again over to your head. Stretch your hands upwards biceps touching your ears. Now interlock the fingers of both the hands and turn your palm upwards providing a stretch to your biceps and triceps. 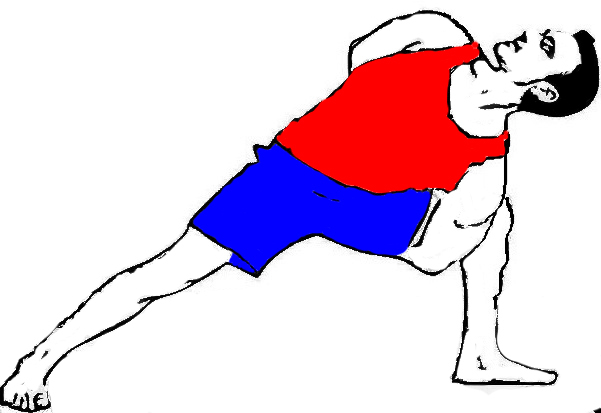 Now start practicing the asana as explained earlier (bending sideways from both the sides). After coming back to the center remove the interlock of the fingers and keep your hands stretched palms facing each other. Slowly exhale and bring your hands down. When the hands are parallel to shoulders turn your palms downwards and start coming back again. Keep your hands by the side of your thighs. Apart your legs and relax. 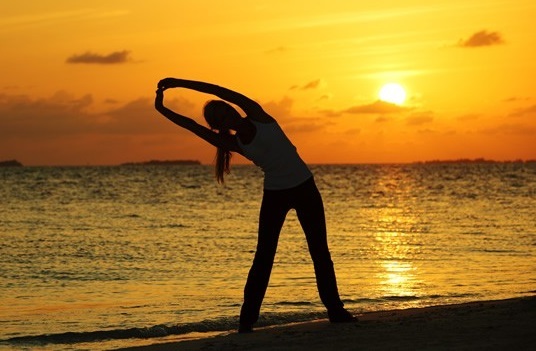 This is the technique of practicing of Tiryaka tadasana or swaying palm tree pose. Very good posture to reduce the side fat of the abdomen. Provides a nice stretch in the sideways. People suffering from hernia should not practice. If you are suffering from back pain, then don’t practice it. If you have cervical pain, it advised to leave the practice. People suffering from severe headache should not practice this asana.